Searching for the wonder jar that give you multiple benefits? A quick search over the web, you probably see tons of products but I recently tried this pretty amazing product of Sekkisei, called the Sekkisei Herbal Gel. It provides you with 6 skin benefits in just one amazing product. SEKKISEI introduced a new and exciting product today that’s set to change the way you think about skincare. 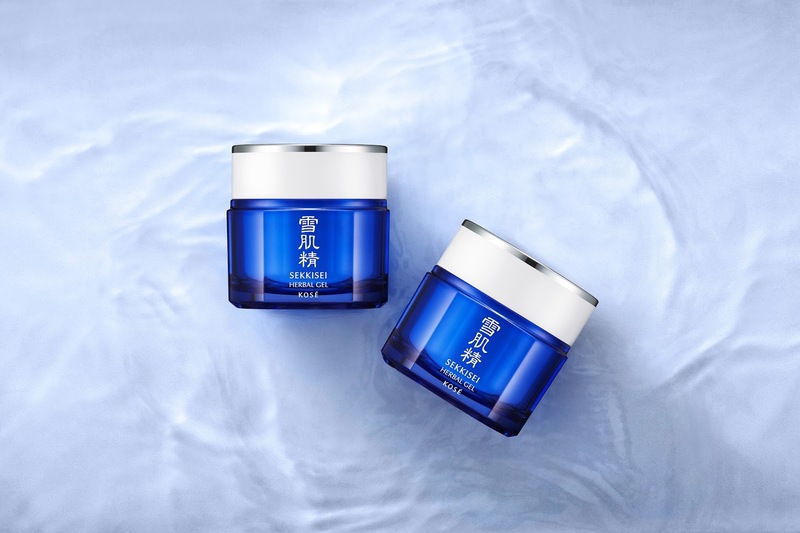 Combining an innovative texture with oriental herbal know-how, SEKKISEI Herbal Gel is the current rising star in the beauty world – even Malaysian celebrities and personalities are big fans of the product! Dubbed the ‘wonder gel’, SEKKISEI Herbal Gel is a multifunctional gel that combines 6 skincare benefits in one convenient jar, making it the perfect companion for women and men who are always on-the-go and appreciate occasional quick fixes for a translucent complexion. All you need is this item after prepping your skin with lotion, and it will feel as though you’ve given your complexion a full course of skincare treatment. With ONE simple step, your skin gets the treatment of an emulsion, serum, cream and it can even be used as a massage gel or a nourishing sleeping mask! 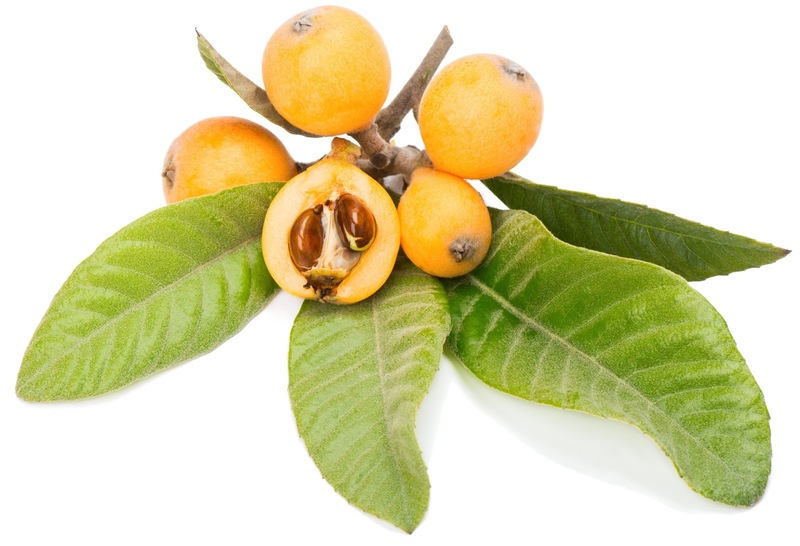 Loquat leaf – the loquat tree is another native plant of East Asia, which leaves are used medicinally. As an ingredient in SEKKISEI Herbal Gel, it promotes blood circulation and prevents dullness to give skin a translucent look. I have never imagined that Loquat and its leaves is like that! But ok, if it makes my skin aawesome, I am all in! 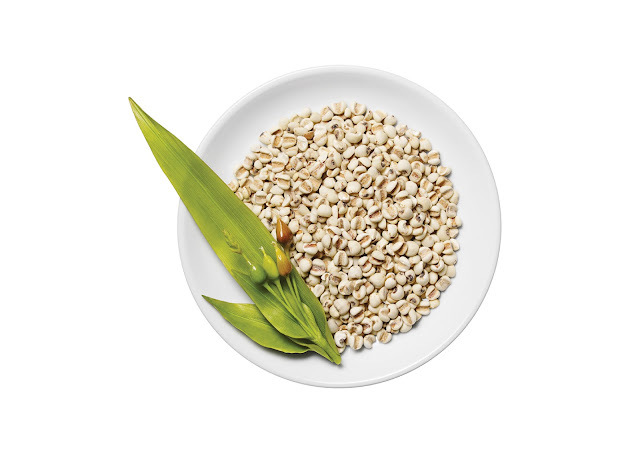 So what is the benefits of using SEKKISEI Herbal Gel? Benefit #1: HydratingAngelica plant extract delivers intense moisture, keeping your skin well-hydrated while locking in a translucent glow. Benefit #2: Radiance-boostingFermented coix seed extract (an amazing antioxidant) and loquat leaf extract (promotes blood circulation) work together to help you achieve that lit-from-within radiance. Benefit #3: SmootheningA cocktail of plant-based oils soften the skin for a highly emollient feeling. As a result, skin stays soft and beautiful for hours. Benefit #4: Anti-inflammatoryMugwort extract soothes the skin and provides anti-inflammatory effects to keep skin in stable condition. Benefit #5: Suppleness-enhancingFormulated with a high concentration of water-based moisturizing ingredients, the non-sticky Herbal Gel emulsifies upon contact with skin, creating a healthy glow with lasting suppleness. Benefit #6: Ultra-nourishingMelothria extract naturally plumps up your skin with essential nutrients, leaving it beautifully-soft to touch. Besides its long list of benefits, the sensation of SEKKISEI Herbal Gel’s after-application is just as impressive. Thanks to its innovative gel-texture, which leverages on emollient capsules technology to achieve affinity to the skin and efficiently delivers active ingredients into skin. Firstly, it allows the herbal gel to spread smoothly and lightly without any slippery or sticky feeling; it is then quickly absorbed into the skin to give a firm and cushiony feeling from within. On the surface, the skin feels deeply moisturised and stays firm, dewy and smooth for more than 8 hours. When used before bedtime, you can expect to wake up to a radiant complexion. It does not compromise in delivering excellent moisturising and skin texturing effects that can be achieved with multiple products. Mr. Masaaki Hara, Managing Director of KOSÉ Malaysia, explained that SEKKISEI Herbal Gel is a must-have skincare product for those who lead a busy lifestyle. “The modern women and men of today juggle many tasks at one time. They spend a lot of time taking care of other people, but often forget to take good care of themselves. While SEKKISEI’s full range of skincare helps take care of their skin properly, there are times when they need a quick fix or simpler solution without compromising on skin benefits -- that is why we created SEKKISEI Herbal Gel with them in mind. With one product, they can enjoy 6 benefits in just 1 hassle-free application,” he said. For these Malaysian celebrities and personalities whose demanding lifestyles take up most of their day, SEKKISEI Herbal Gel is their skin saviour. 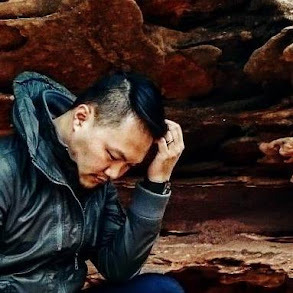 Actor Jeffrey Cheng, who is already a SEKKISEI user mentioned, “As a man, I find multiple skincare steps troublesome and time consuming. But I still follow my regime diligently because my job requires my skin to be in good condition all the time. Recently, after discovering this multi-functional Herbal Gel from SEKKISEI, I can choose to go for a simpler skincare routine whenever I don’t have the time. This one product helps keep my skin feeling and looking great even when I am very busy. Not to mention, it really hydrates my skin and make it feel smoother”! Just as busy is actress and singer KeQing. Her hectic lifestyle used to make her too tired to enjoy her night skincare regime. “It’s really tiring after a whole day on set. Especially on days when I have both shoots and vocal training, all I want to do when I reach home is collapse on my bed and go to sleep! So it’s a painful process to go through my complete skincare routine of toner, emulsion, serum, moisturiser and sometimes, a night mask to replenish the moisture I’ve lost during the day. The new SEKKISEI Herbal Gel is good news for me because I don’t have to keep myself awake just to apply my skincare products. I can now choose to apply one product on my face and get more beauty sleep. I particularly like to use it as a sleeping mask, as it gives me radiant skin when I wake up the next morning!” she exclaimed. Runner-up of Asia’s Next Top Model Cycle 3 in 2015, Monika Sta. Maria who is a fitness addict and frequently travels, finds carrying bottles of products around rather troublesome. The model who is now based in Malaysia said: “My work requires me to travel quite a bit and I don’t look forward to the packing process because I need to bring my full range of skincare products whenever I move. Plus, I hit the gym every day, which means I have to standby a separate set of travel size skincare for use after workout. I simply cannot neglect my skincare regime due to travel and workout because I have sensitive skin, which requires proper care. But now, with the revolutionary SEKKISEI Herbal Gel, I only need to carry one product whenever I fly or hit the gym; its anti-inflammatory benefit actually suits my sensitive skin well”. Singer, songwriter, rap artiste, TV host and a mom, Hunny Madu couldn’t agree more with Monika. “As a working mom, I like to pamper myself with a full skincare regime whenever I can. But there are days when I really have to leave home early for work after settling my 3-year-old daughter Eva Medina, and I can’t do so without any skincare on or I’ll feel totally dehydrated in an hour. That’s when I started using SEKKISEI Herbal Gel. My skin feels so plump and supple after application, and I still look good at the end of the day! It’s truly a wonder gel,” she commented. “I also love its light and non-sticky texture, and how fast it absorbs; it’s like I don’t have anything on my face! Most importantly, my skin actually feels nourished and supple all day long,” added the working mom. For a quick fix in between your full skincare regimen, apply one scoop of KOSÉ SEKKISEI Herbal Gel (the size of 2 pearl drops) after applying lotion and massage until fully-absorbed. For a special treat, apply two scoops as a leave-on sleeping mask to soothe dry and tired skin before bedtime. Gym addicts, frequent flyers or anyone who wants a quick hydration boost can apply one scoop to clean skin to stay moisturised, even when you’re actively moving around. KOSÉ SEKKISEI Herbal Gel retails at RM130, and is available at all KOSÉ counters. 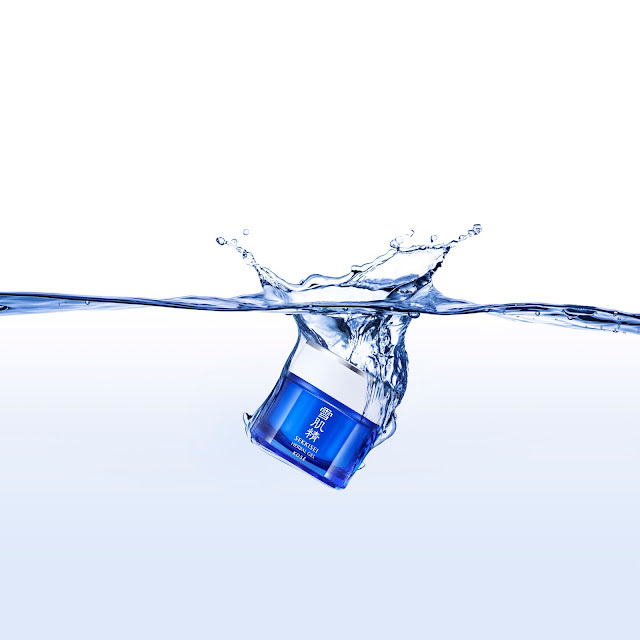 For more information, follow KOSÉ Malaysia on Facebook or visit KOSÉ Malaysia’s website at www.kose.com.my. Aww, this product look good. Should I go and grab???? I think I should... Price of cos is affordable as Kose really good Products. looks like nice product to use. didnt make it the day having fever, whole bodyache. Me too! I love the smell too, not overly strong but yet........ so relaxing! have you try it on? how does it react to your skin? Kose Sekkisei is good product! I love their mask so much. I just gotten the Herbal Gel and loving it too. kose is good product. have u tried this one? I'm using this too! it is my current favorite skincare item, so moisturizing and it really speed up our skincare routine. Tried and tested, it was really moisturize my skin! It become my daily routine now. Perfect product for such lazy girl like me XD This gel looks quite promising and super moiturising too, love the gel texture too! Great brand! I love Kose. Kose is an awesome brand and trusted for years now. This sounds like what I need. I'm happy to note that the price is pretty reasonable too. nice to see they added new range on their products. seems like a good one! thanks for recommending! Never tried this product but got positive review from my friends. maybe I should try. My friend was talking about this brand few days back. She is using some products of this brand and was giving good feedback. Will let her know about this new product. very detail about Sekkisei . Love the way in ur blog writing . picture was amazing clear . Thumps up! !